Venue: Grand Kampar Hotel, Kampar, Perak. 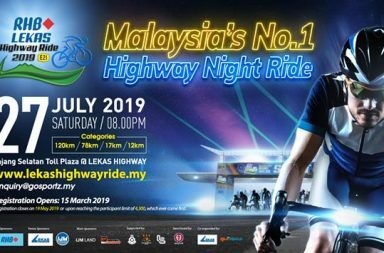 Kampar Majesty Ride is back for its 6th Edition! Being one of the most prestigious cycling events in Perak, KMR has grown from strength to strength since its introduction back in 2013. 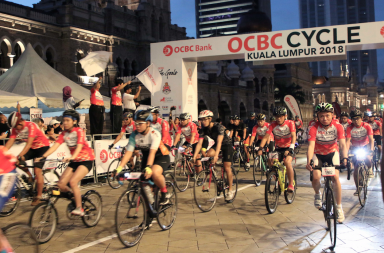 This year, there will be 2 distances to cater riders of all types, the 50KM Fun Ride and 90KM Endurance Ride. 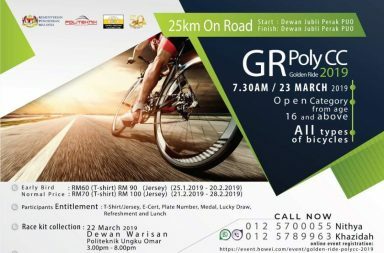 Fee includes sublimation printed event t-shirt, an awesome looking finisher medal, freebies, lucky draw entitlements, and a sumptuous free flow buffet lunch by Grand Kampar Hotel. For more info and registration, visit Kampar Majesty Ride’s Facebook page..